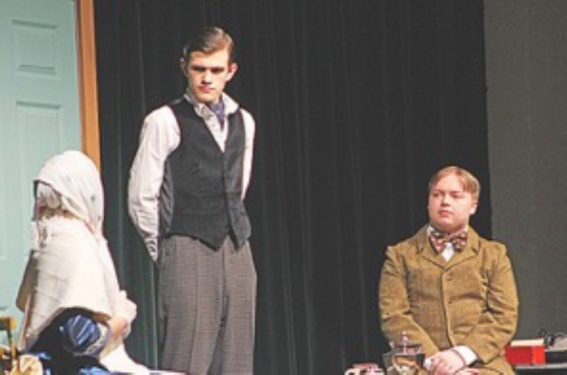 Sherlock Holmes and the Case of the Jersey Lily is an American play, written by Katie Forgette, performed at the Kwalikum Secondary School (Qualicum Beach, BC, Canada) from 13 to 15 may 2016, starring Alex Hunter as Sherlock Holmes. © Photos : Kwalikum Secondary School. Other parts not known yet. This page was last edited on 29 October 2018, at 00:14.